I want to start by thanking our tremendous faculty, staff, and students. 2018 was a banner year for the College of Health (COH). We experienced significant advancement in every aspect of our mission—education, research, and clinical care—along with important key hires and continuing progress in community engagement efforts. In support of continuing educational innovation, the COH created the Teaching and Learning Seminar series. These meetings provided opportunities for COH faculty and teaching assistants to learn strategies to improve teaching, incorporate technology into the classroom, and discuss academic policies and best practices. United in the shared mission of academic success for our students, course instructors college-wide are applying the lessons learned. The COH had tremendous success in its funded research program, receiving new grant awards in excess of $40 million (total for the life of the grants) in Fiscal Year (FY) 2018. This success is the fruit of concentrated efforts to increase grant submissions ($10.6 million in FY14 to $58 million in FY18). The grant funds received also increased by an impressive margin, from just under $2.4 million in FY14 to over $8 million in FY18. The COH began transitioning the Balance and Mobility Clinic, Speech, and Hearing Clinic and Life Skills Clinic to the EPIC electronic health record and UMB Healthcare Services. This effort aligns these tools with other U of U Health clinical services, facilitates referrals from system physicians, and increases demand for services. The COH also appointed its first Associate Dean for Clinical Affairs to provide strategic direction and oversight for the College’s clinical training, internships, residencies, and faculty practice programs. The Department of Nutrition and Integrative Physiology collaborated with the Diabetes and Metabolism Research Center to recruit Will Holland, PhD, from UT Southwestern Medical Center, and with Huntsman Cancer Institute to recruit Mary Playdon, PhD, from the National Cancer Institute. The Department of Health, Kinesiology, and Recreation recruited Peter Fino, PhD, from Oregon Health & Science University. The Department of Physical Therapy and Athletic Training recruited Katsu Funai, PhD, from East Carolina University. Each of these faculty brought federally funded research programs to the COH. Through the Pacific Islander Diversity Initiative, the COH recruited Nia Aitaoto, PhD, a nationally prominent community-engaged scholar of Pacific Islander community health issues. Dr. Aitaoto is creating a Center for Pacific Islander Studies/Health to mobilize colleagues, students, and community partners to learn more about the many issues facing this underserved community. The vision of University of Utah President Ruth V. Watkins, PhD, broadens the reach of the campus to lift the citizens of the entire state. The COH’s community engagement activities serve as a template for this endeavor. These activities include Connect2Health, which serves underserved and homeless populations in Salt Lake City and the region; the Center for Community Nutrition and Driving Out Diabetes initiative, which seek to improve quality of life through proper nutrition and physical activity; our faculty and student engagement in refugee resettlement fieldwork; and pro bono rehabilitation services provided throughout the region. Even as we fondly remember 2018, we look ahead for even brighter things to come. Keep an eye on the College of Health! 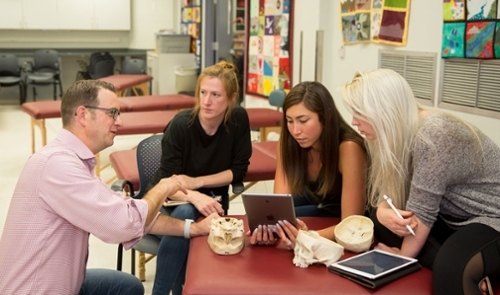 Guest blogger David Perrin is Dean of the College of Health and Professor in the Department of Physical Therapy and Athletic Training at University of Utah Health. 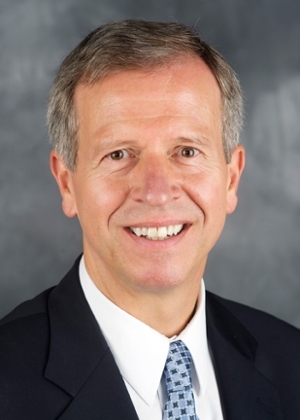 Before joining U of U Health, Perrin served as Provost and Executive Vice Chancellor at the University of North Carolina at Greensboro and as Dean of the School of Health and Human Performance.